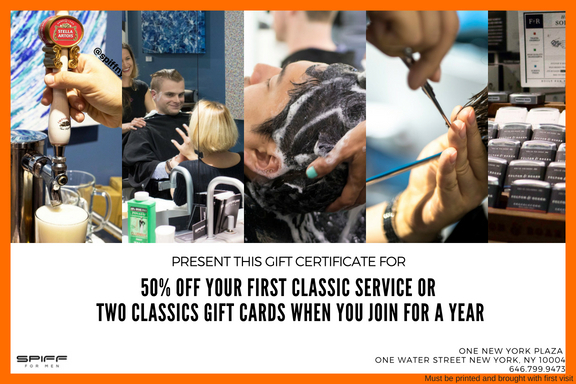 Spiff for Men is an upscale mens grooming club with locations in Downtown and Midtown New York. 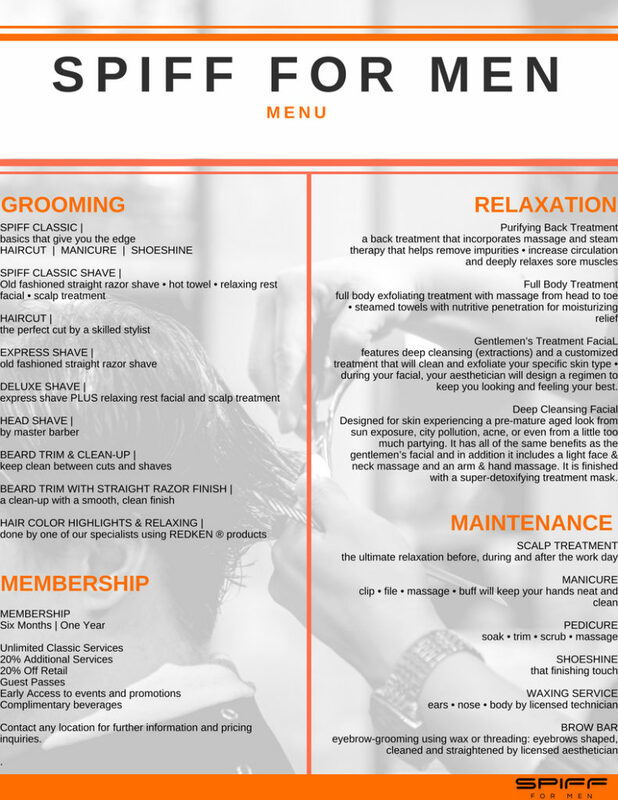 We keep the professional and modern man looking and feeling at the top of his game by providing the highest quality grooming and spa services. 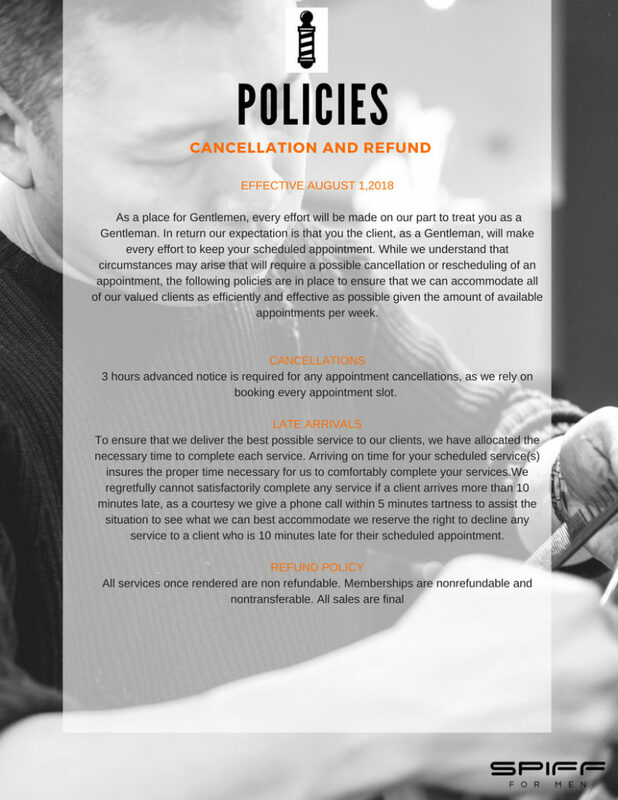 Here, you’re more than a client, you’re family. 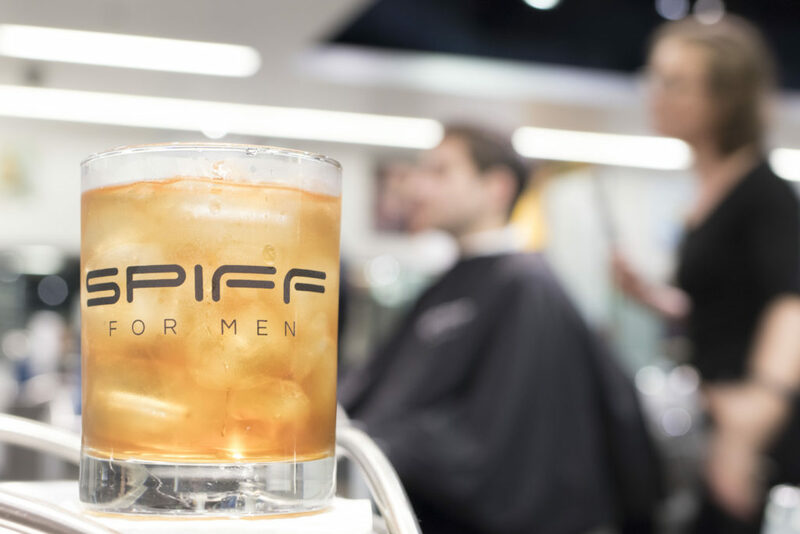 Spiff for Men focuses on making our guests not only looking good, but feeling just as good and welcomed. When you look good you feel good . New and existing gentlemen’s pass below.